GRAND RAPIDS, Mich. – SpartanNash is again expanding its participation in the Double Up Food Bucks healthy food incentive program, bringing on an additional 29 stores. The additional stores triple SpartanNash’s participation in the Double Up program in 2017, with 46 stores now taking part throughout Michigan. Double Up Food Bucks matches Supplemental Nutrition Assistance Program (SNAP, formerly known as food stamps) purchases of fresh fruits and vegetables with a financial benefit to local growers as participating stores prioritize local sourcing. SpartanNash’s participation in Double Up is a key component of the company’s corporate responsibility efforts and reaffirms the company’s commitment to offer SNAP customers more buying power for fresh fruits and vegetables. Last year, the Food Marketing Institute (FMI) honored SpartanNash for its work in the Double Up Food Bucks initiative, naming the company the top program addressing food insecurity in the FMI 2016 Community Outreach Awards. For each dollar of fresh produce SNAP customers purchase using their EBT Bridge Card and SpartanNash’s yes loyalty account,* an equivalent amount of dollars will be earned and placed on their yes account. 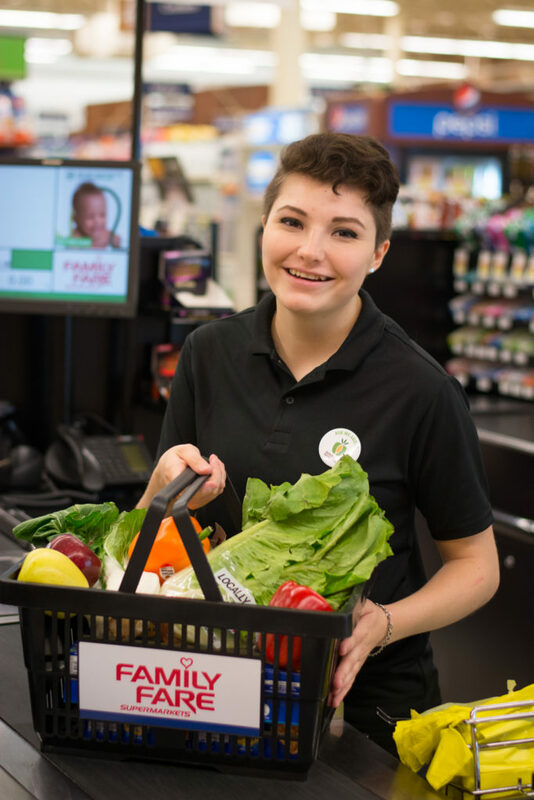 Shoppers can then redeem the Double Up dollars for free fruits and vegetables at participating Family Fare and VG’s locations, with a maximum dollar-for-dollar match of $20 per day on their yes account. *ValuLand stores do not participate in the yes loyalty program. As a result, every time a SNAP customer purchases fresh fruits and vegetables at a participating ValuLand store using an EBT Bridge Card, the customer will get half of the produce for free, up to $20 a day. This is the fourth year SpartanNash has offered the Double Up program at its retail stores – and the first year the company is participating under multiple banners. Thirty four Family Fare Supermarkets will now offer Double Up for its SNAP customers – doubling the number participating in the program in 2017 – as well as six VG’s stores in Eastern Michigan and five ValuLand stores in the greater Lansing area. The Double Up produce incentive program is a national model for healthy food incentives active in 23 states with support from federal, state and private sources. SpartanNash is the only major grocery retail chain in Michigan with multiple stores participating in the Double Up program. This year, Double Up is available in more than 160 farmers markets, farm stands and other retailer ourlets, as well as more than 100 full-service grocery stores, including many SpartanNash independent customers. Grand Rapids – 1415 E. Fulton St.
Marshall – 15900 W. Michigan Ave.
Urbandale – 1525 W. Michigan Ave.
Harrison – 1570 N. Clare Ave. In 2014, SpartanNash became the first major grocery retail chain in Michigan to support the Double Up Food Bucks program. Since then, the company has invested more than $150,000 to ensure the success of the program, the majority of which was spent on refining point-of-sale systems to make it easier for SNAP shoppers to earn and redeem Double Up dollars for fresh produce. To date, SpartanNash has partnered with more than 100 community organizations, including Grand Rapids Public Schools, Feeding America West Michigan, Spectrum Health Healthier Communities and the Heart of West Michigan United Way to inform communities – in both English and Spanish – about the Double Up program. To learn more about SpartanNash’s participation in the Double Up Food Bucks program, visit SpartanNash.com/DUFB or check out the company’s Corporate Responsibility report at SpartanNash.com/CR-report.